We had a great time at Achelatis. When we arrived at Areopolis the weather was really bad, windy and rainy. Dimitris welcomed us and made his best efforts to make our stay pleasant and comfortable despite the weather. He was always there to accommodate our requests. The room was really spacious and very clean. The view from the balcony was beautiful and we enjoyed a captiving sunset. Location was very nice and quiet, just outside Areopolis within walking distance from the center. We definitely recommend Achelatis. Thank you very much Dimitri for making our stay unforgettable! Beautiful hotel with extremely friendly personel who had a lot of advice for us. Good bed. Private parking. Basic breakfast but of good quality. Areopoli is a very beautiful town. Excellent cottages with character, friendly staff. Very clean. We were accommodated in the Superior Suite Sea view, where we had all the comfort we want on vacation (rooms and spacious bathrooms, cleaning, enough storage space, window shutters, and so on). The property's premises are very beautiful and well-groomed, the location is great, close by the village where you find a lot of taverna. Breakfast was excellent for us: the vast majority of products are natural, prepared on the spot or home made. The ladies of the kitchen did not know how to better spoil ourselves, they reacted quickly to all our requests! Thank you very much Vasiliki, Katerina and Maria, you have given us a wonderful and memorable vacation and we have new friends in Greece! The nearest beach is about 5 km away, there we have found beauty, tranquility and special people! Don’t miss Limeni, they have two great fish taverna! Great staff, helpful and came with good tips on things we should do! Clean room and nice view. Just walked to the center of Areopoli in two minutes. The staff were very friendly and super helpful. Gave us a little map and circled recommended places. The breakfast was nice. The location was great, a few minutes walk into the busy town yet really quiet. The gardens were beautiful. The overall accommodation was excellent. Nice rooms, nice garden, very clean and the buffet breakfast was delicious. Yes, the accommodation is beautiful and comfortable and yes, breakfast is absolutely wonderful, but the best part of this guest house experience is wonderful "Vicky" at reception. Spacious and clean rooms with all amenities. Staff were attentive at any time and gave us useful information on the area. Very quiet with large garden area. Located in a strategic position. 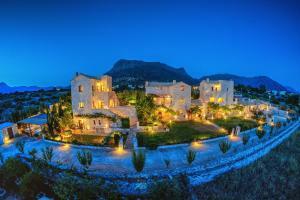 Confortable And spacious rooms, beautiful garden and terrace with amazing view of The Sea and The Mountain. Lovely village, beautiful surroundings. Warm staff, They are special People! Lock in a great price for Achelatis Guest Houses – rated 8.8 by recent guests! 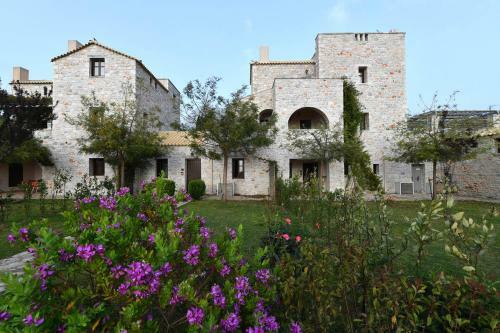 Achelatis is a stone-built traditional guest house located right at the entrance of Aeropolis, just a short distance from the town center. It offers guest rooms with traditional décor and free wired internet. 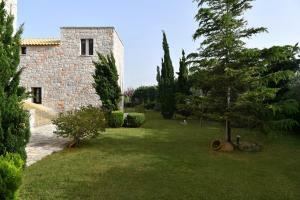 Accommodations at Achelatis Traditional Guest house is spacious and includes air conditioning. Apartments include a kitchenette, while the luxurious suites also feature a fireplace and a flat-screen TV. 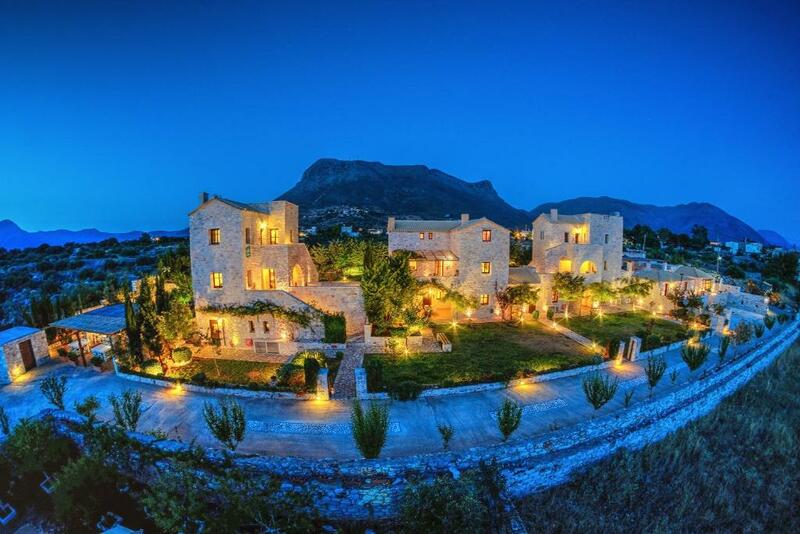 Guests can enjoy views of the Messinian gulf or the garden and the sunset from the balcony. Breakfast is offered on a self-catered basis. Also available is ample parking. The staff is always willing to assist guests with any information on the surrounding area. The surrounding region offers excellent hiking, fishing and horse riding opportunities. Other popular activities among guests include boat tours in the archipelago. When would you like to stay at Achelatis Guest Houses? This family room consists of 2 connecting rooms and is fitted with a fireplace. Please note that the kitchenette cannot be used for cooking purposes. Offering garden and side sea views, this family room consists of 2 connecting rooms. Fitted with a fireplace or a wood-burning stove, this apartment offers sea or garden views. Offering sea views, this family room consists of 2 connecting rooms and is fitted with a fireplace. House Rules Achelatis Guest Houses takes special requests – add in the next step! Achelatis Guest Houses accepts these cards and reserves the right to temporarily hold an amount prior to arrival. Please note that the kitchenettes cannot be used for cooking purposes. Please inform Achelatis Guest Houses of your expected arrival time in advance. You can use the Special Requests box when booking, or contact the property directly using the contact details in your confirmation. Of the traditional studios only the two with the balconies have sea view. Those were taken, so we got a free upgrade to Family Suite, which is perfect for the winter, but not for the summer: no balcony, small windows, kind of dark and difficult to air naturally. I especially booked this hotel to have breakfast on a balcony with a sea view, so this was not a very successful upgrade. It was also not so clean as expected. I could tell that the floor was not thoroughly cleaned or it was cleaned long ago and at the douche I found the used soap of somebody else! The breakfast could have been a bit better and definitely lasting longer as most stuff were finishing much before the end time and were not replaced. Quantities and variety could be improved. A hanger was also missing from our room and it was impossible to hang all wet towels, swimming suits etc! The location was great and definitely to be recommended! 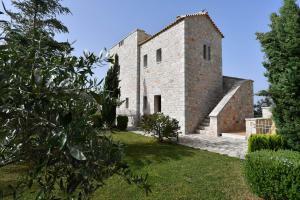 2 minutes walking to the town and very convenient to go to the nearby villages! Quiet surrounding! The staff was very friendly and tried to always be available for us. Bad internet signal in our room, otherwise all was prefect for us! Poor breakfast almost no option for someone who wants to eat healthy with no sugar, very small bathroom, very poor amenities, we receive welcome email with wrong contact information and wasn't easy to confirm our booking,I wouldn't suggest it much better places to stay in the area. Was given room A2.first impression really good.Then realized that veranda was also part of stairway.This meant all staff ,all new arrivals plus luggage passed through veranda.After complaining more than once we were given different room !! The room had cooking facilities, but no cooking, pots, pan or utensils. The safe was inoperable and the tv didn't work. heating is not enough for winter period, woods are available but without matches or lighter.... Breakfast should be provided on this price. WiFi was not available (due to technical issues).